Everything was nice. The only thing I might change is to add just a little more variety to the breakfast menu. With 11 Expedia hotels and apartments in Orono, travelers here have lots of options to browse. Within a convenient 0.1-kilometre (0.06-mile) radius of Orono's downtown you can find 11 Expedia-listed places to stay. If you'd prefer a room near downtown Orono, why not check out the centrally located University Inn Academic Suites. 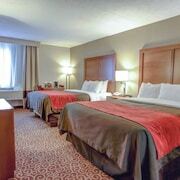 9 kilometres (6 miles) away from the main part of Orono, is the Courtyard by Marriott Bangor. 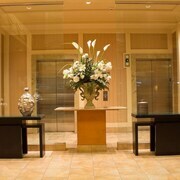 Alternatively, the Four Points by Sheraton Bangor Airport is situated 14 kilometres (9 miles) away. Alternatively you could check out the amenities and rates at the Hilton Garden Inn Bangor or the Hollywood Casino Bangor. 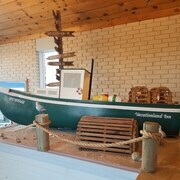 The closest places to stay in Bangor include Brewer and Orono Bog Boardwalk. Brewer is 12 kilometres (8 miles) to the southwest of Orono, while Orono Bog Boardwalk is 5 kilometres (3 miles) to the west. 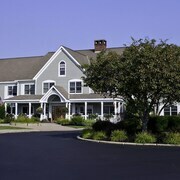 Hotels and apartments in Brewer include the The Charles Inn and Vacationland Inn & Conference Center. 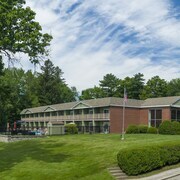 The Hampton Inn Bangor and Black Bear Inn Conference Center & Suites are the hotels and apartments in Orono Bog Boardwalk. Before you say goodbye to Bangor, ensure you experience local game. Visit Mansfield Sports Complex to the southwest of Orono. Stay close to the action at the Holiday Inn Bangor or the Fairfield Inn By Marriott Bangor. 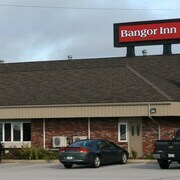 Located 14 kilometres (9 miles) from Orono is Bangor International Airport. 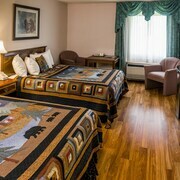 Stay nearby at Fireside Inn & Suites or Ramada Inn Bangor.